You’ve heard it all before: streaming audio and video combined with rich media offer enterprises the ability to increase the effectiveness of their communications efforts, from rich media corporate content to live Webcasts to distance education. Even if streaming media still isn’t considered a mission-critical IT priority in this era of enterprise cost-cutting, more and more companies are becoming convinced of streaming’s ROI and are investing in video communications. 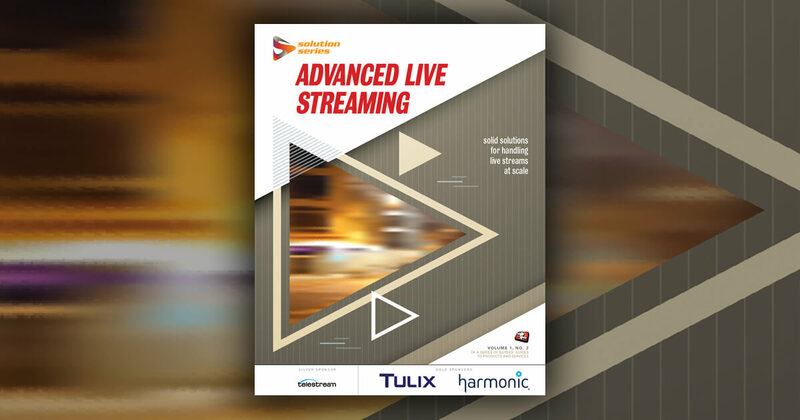 Many executives are just now starting to discover streaming’s potential to improve communications and save them money, a realization all too often spurred by the fact that their video delivery capabilities are being exceeded by demand. Enterprises—defined here as Fortune 500-level companies—are becoming hard-pressed to find cost-effective solutions to address this scenario so they don’t end up giving employees "bandwidth exceeded" errors instead of critical communications. IT and business managers must therefore re-evaluate their options and approaches for communicating with employees, sales forces, customers, partners, and investors. Companies are finding the power of video is not in limited communications or Web conferencing, but rather in communication that can reach hundreds or thousands of viewers at their convenience. An executive’s video explanation of a recent ethics and compliance mandate, for example, leaves a much more powerful impression than an email summary. Furthermore, statistics show that other business applications such as Web conferencing, Webcasting, elearning, and virtual collaboration can be leveraged with the right strategic planning. Streaming media no longer needs to prove itself. The questions now are how can it be leveraged and integrated with other technologies for internal and external use, and how can it be successfully implemented within the enterprise network? As the demand for rich-media content continues to increase, corporations need to put an infrastructure in place that can deliver content on a global scale without sacrificing quality or availability. The current state of infrastructure and streaming technologies, combined with content management and publishing solutions, enables efficient rich media deployments, higher ROI, and minimal impact on IT. The numbers speak for themselves. A 2004 Aberdeen study revealed roughly 66% of enterprise-level companies are using streaming media business applications at least two to three times a week. And by 2006, Gartner Inc. predicts that 80% of enterprises will be "dependent on streaming media applications for supporting internal corporate communications and training." Visual communications are significantly more effective than written correspondence or voice-only communications. Video, whether in the form of conferencing, Webcasts, or on-demand presentations, conveys information through visual cues that improve the accuracy of the communication by relaying intent, purpose, and sentiment while simultaneously providing greater retention. It offers many of the benefits of live interactions without the need for travel, dramatically improving productivity and lowering costs. • Can you create streaming content easily? • Can you record your videoconferencing output and stream it on demand afterwards? • Can you archive your live Webcasts? • Can you leverage the distribution of content over a content delivery network (CDN) easily and cost-effectively? • Can you report on viewer activity? • Are the tape and digital formats compatible between production and post-production crews, and is transfer time minimal between the two groups?